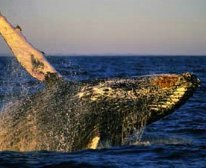 Ocean Safaris is the largest boat based whale watching company in South Africa, with 2 legally licenced operations along the Garden Route: Plettenberg Bay, and Knysna. 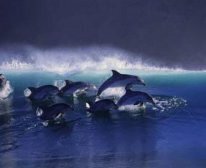 Welcome to our world, a world dedicated to the observation and conservation of whales and dolphins. As an environmentally conscious eco-marine business, we are rated by Europe magazine, as one of the top 25 worldwide. 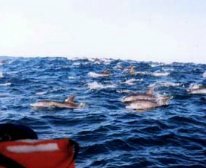 Ocean Safaris is unique in that we provide support to the Centre for Dolphin Studies via proceeds from our boats trips, ensuring the ongoing research and information sharing from the only accredited research institute of its kind here in South Africa. Our head office can be found in an extraordinary town called Plettenberg Bay, hailed as the African Mecca for the rich and famous. But there is more than a cosmopolitan flair to our environment! 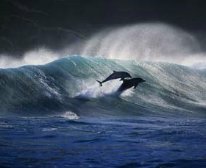 We have a Bay that offers a diverse range of marine mammals, sharks and birds, and a seal colony that spans around 400 meters, along Robberg Nature Reserve. 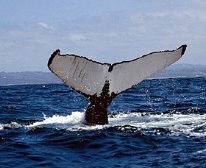 Join us on a magical journey - the smell of salt in the air, the cry of birds in your ears and sights of whales and dolphins that will quite literally, take your breath away.Our boats are operational 3 times a day. Generally our cruise times are 9.00am, 11.30am and 2.30pm, but we ask you to confirm this with each booking, as times do change according to weather patterns. YOU ARE IN FOR AN EXPERIENCE! 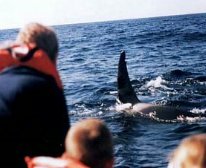 In Plettenberg Bay we have an unusual launch method known as the dolly trailersystem, where our passengers remain on the boat while it is pushed into the sea.At no time are you out of our hands. We meet you at our shop in Central Beach, where your tour guide kits you up ready for your journey, and then we make our way down to the beach, where you are greeted by your skipper. 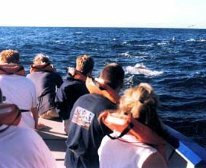 Once you are on board, your skipper and tour guide provide you with invaluable information about the marine life and the environment. And for the thirsty there are refreshments served during your cruise (sorry, non-alcoholic beverages only!). You complete your seafari back at our shop with a hot cuppa, along with great memories! Your safety and enjoyment are our prime concern. All our vessels are fully licensed and skippered by professional SATOUR accredited Tour Guides.